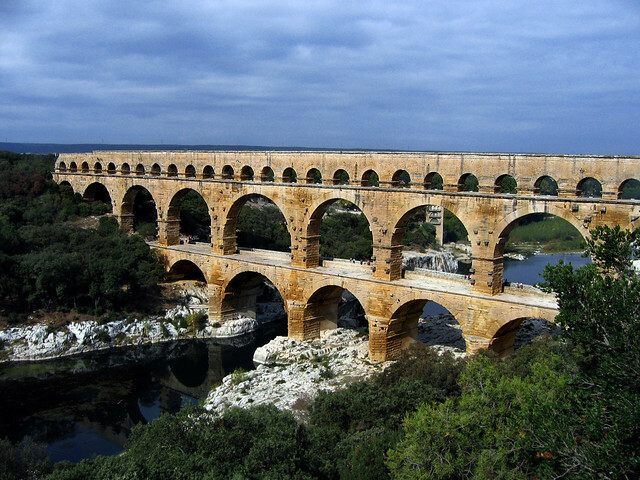 Pont du Gard | Flickr - Photo Sharing! OliBac, vmribeiro.net, Alcesti, and 9 other people added this photo to their favorites. This photo should be used in class, at school ! Read the group rules first. uh il pont du gaaarddd bellissimo...maestoso...uno dei più bei simboli della grandiosità dell'impero romano...eccezionale. Bellissima foto. Great view of this magnificent structure. Hi, I'm an admin for a group called Pont du Gard, and we'd love to have this added to the group! Hi, I'm an admin for a group called Heritage Key, and we'd love to have your photo added to the group! Your photo has been featured in a photo essay on Matador Network! A link back to your photostream has been provided. Thank you for sharing this great photo under creative commons!